Despite what my wife may tell you, I don’t claim to know it all. I have a passion for learning, so while I’m constantly expanding my knowledge and honing my skills, there are very few fields that I can honestly claim to be an “expert” in. I understand how to run an effective Facebook ads campaign, but I’m not a Facebook ads expert. I may know how to land a client or nail a job interview, but I wouldn’t claim to be a career coach or an expert in business development. My field of expertise exist in three categories: personal branding, networking and productivity. These are things I’ve studied extensively and have first-hand experience implementing. I’ve run experiments and A/B tests, which help me refine my process. Under my umbrellas of expertise are other fields – social media, career coaching, graphic design, public speaking – and while these are areas I know a lot about, I would not claim to be an expert in any of these fields. 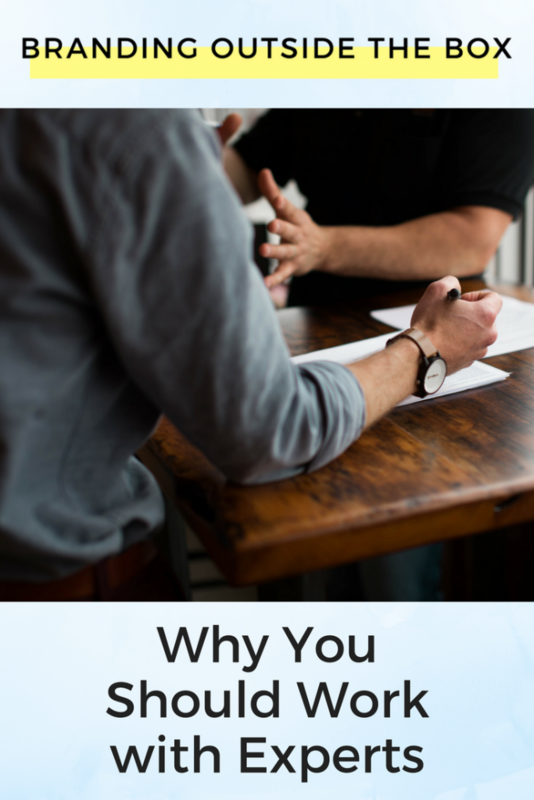 When it comes to building your team, hiring coaches, or taking classes, you want to work with experts. When you are hiring or paying to work with someone, that person should have a depth of knowledge that takes years (or less if they work intensely and do nothing else) to acquire. They’ve put in the time learning the ins and outs of their field, either through higher education or working in the field. Working with an expert means you benefit from their years of experience. Does that mean that only people with advance degrees or successful businesses are the ones that can help you in these fields? Absolutely not. I have plenty of peer groups where we exchange ideas and share what we’ve learned through experience. 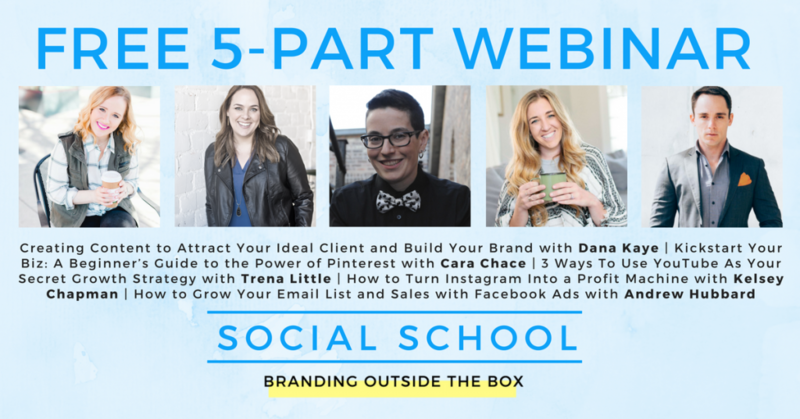 I can share our experience with Facebook and Instagram ads, or testing Google advertising, or running email marketing campaign, but I wouldn’t claim that my way was the best way. It was just what was working for me and my clients. I see lots of benefits from peer-learning and brainstorming ideas with others in my field. But if I want to feel fully confident in what I’m doing and fully understand a particular platform or concept, I want to learn from experts. By the end of the 5-week training, you’ll have a clear understanding of each platform and know where to focus your energy. 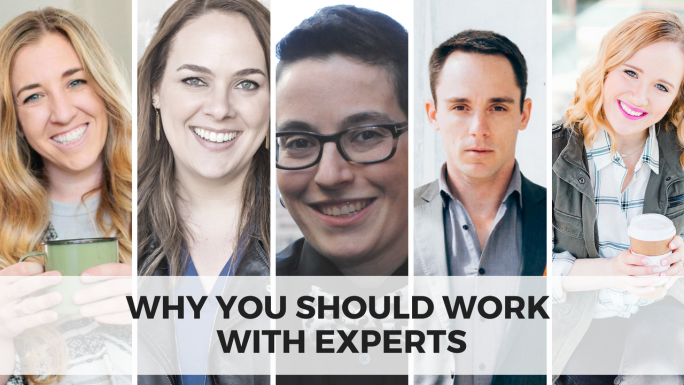 And if you want to take a deeper dive, each of these experts will be offering opportunities to learn from or work with them in a bigger capacity. Click the graphic below to register! Are you an expert in your field? Feel free to give yourself a shout out in the comments!